Malaysia Day celebrations at LoyarBurok continues with our 5th runner, a duo from Sarawak reflecting on the necessary conversation we’ve been skirting as a nation. 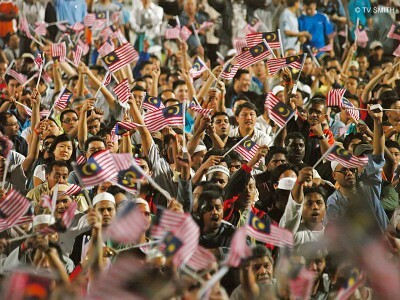 But it’s getting louder now as Malaysia celebrates its 47th year of nationhood. What is it saying? Adriana Leu is a law graduate who is currently pursuing the Certificate in Legal Practice. When she is not running, she is either immersed in books or an engaging intellectual conversation with another over a cup of good coffee. An opinionated but at the same time receptive listener who often ends up contradicting herself, Adriana believes in the goodness of people and is carrying out a secret mission to change the world. Check out what the other runners Lisa, Marcus, Lady Baba, and Daniel Soon had to say too. IN THE 47TH YEAR OF OUR COUNTRY’S NATIONHOOD, there is a conversation going on. Passengers on planes, people in offices and coffee shops, students and teachers in schools – Malaysians are starting to have opinions that the rest of us should know about. Whether it be the businessman who gripes about corruption, the frustration of the political science student who is warned to take no part in politics, the 9As student who is denied a scholarship based on her skin colour, the simple church-goer who is told that he cannot use the name of God in a certain language, the mother who is left empty and broken by the unexplained death of her son in police custody or the inequity felt by generations of Dayak communities cultivating crops on their forefathers’ native customary lands who are denied titles of ownership – these are but a few of the many voices that make up the conversation. This Malaysia Day, as our National flag flies proudly on flag poles across the country, it is perhaps timely we pause, listen and reflect on these voices of those amongst us who cannot escape feeling that somewhere, somehow we collectively as a nation have gone astray from the path we set out on in 1963. The afflictions that affect us a nation and people grow by the day. Corruption is endemic. Intolerance and bigotry are becoming widespread and tolerated, ironically by the authorities. The standards by which we and others on the outside judge our nation’s progress are also falling. In the 47th year, many of us have grown tired and are disillusioned. From our midst, 300,000 Malaysians have left our shores in search of better lives and opportunities overseas within 18 months since January 2008. Of that, 200,000 migrated in the first eight months of last year. While our leaders engage in senseless debates over affirmative action and racial superiority in a fast-changing and competitive world, the exodus continues unabated. Those who purport to lead us fail to realise that when they squander their fellow citizens, they squander Malaysia’s greatest resource: its human capital. Those who leave bring with them skills, talents and dreams that the rest of us desperately need to take our country out of the doldrums it is in now. We lose the best minds to run our institutions and to power our economy. Our society breaks down because we become deprived of knowledge and the ability to innovate, build and learn. We stunt our own social and economic development. Towards the end, we have nothing to pass on to future generations of Malaysians and eventually, we also lose the most valuable thing – Malaysia’s future. We Have a Voice. But You Don’t Hear Us. And yet, there are also many of us – individuals, groups or whole communities – who refuse to watch this happen from the sidelines and be kept silent any longer. In response to the widening gap between those who hold the reins of power and the people they rule, new movements are born as Malaysians from all walks of life come together to lend their voices to different legitimate concerns. Calls for economic reforms, better governance, improved social conditions, promotion of rights awareness, protests against government policies and actions, all share one common aspiration and that is to make this country a better place for all of us to live in. These are attempts to reclaim the true promise of 16 September 1963. If they haven’t already done it, our leaders should start to pay heed to the underlying discontent that fuel these movements. Social movements are almost always an enraged manifestation of marginalised voices that want to be heard by the state polity. Leaders who choose not to listen to and engage these voices are often unkindly treated by history. The dismal performance of the ruling coalition in the 2008 General Elections ought to have served as a cautionary warning but until today, our self-serving leaders still fail to understand that the choices we ordinary Malaysians make at the ballot boxes are ultimately influenced by these conversations. So, while movements are a tragedy of the disenfranchised, their growing numbers point to an awakening within the masses that real power emanates from them and not their leaders. Sadly, this point is lost on our leaders. No lessons are learnt. We see that when movements gain momentum and strength, and our conversations become audibly clear to them, they show their disdain for meaningful public engagement by cracking down on the proponents of these causes. 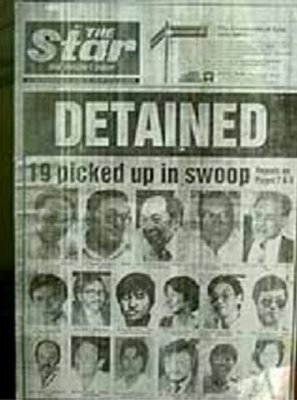 This is a visible pattern of behaviour in the lead-up to and aftermath of Ops Lalang, the Reformasi movement and the 2008 General Elections. State-controlled media portray these causes as unreasonable and demanding. Agitators who vilify the true voice of the masses and join in the chorus of oppression are instead presented as heroes who are defending the sanctity of the state. 47 years on, we have national leaders who are out of touch with their fellow Malaysians. What we see as our legitimate expectations – that which our leaders must strive to fulfill and that which each Malaysian is entitled to seek from our leaders, they see instead as unreasonable demands. Be for us. And Be with Us. This is All We Ask. 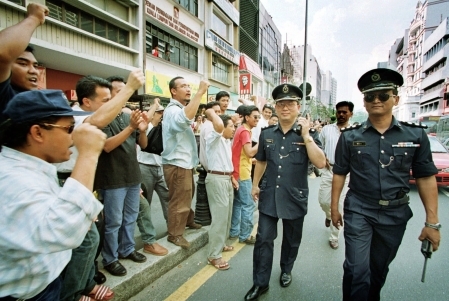 How is it unreasonable for us to expect our leaders to facilitate and promote our constitutional freedoms rather than impede them; to expect them to go beyond sloganeering and put words into action; to expect them to reward hard work and to give fair and equal opportunities to every Malaysian; to allow us to succeed in all our endeavours regardless of our race or religion. We want and expect a government that will eternally seek to make our nation stronger by giving more strength to its people, and not to itself. What is there to fear when citizens ask for truthfulness and transparency from their own government? Why must leaders feel threatened when their constituents ask that their problems be heard and solved? What’s wrong with tax-payers voicing their unhappiness over mismanagement of the country’s finances? What possible harm to the State can there be when citizens young and old want to learn more about their own country’s Constitution? Do we demand too much of our elected representatives? SO THIS IS THE DOLEFUL PORTRAIT OF MALAYSIA ON ITS 47TH BIRTHDAY. Once a young nation so full of hopes and dreams, we now find ourselves being led down a path of mediocrity by leaders who do not always act in accordance with the needs and wishes of those they were elected to represent. They are detached. They do not share our views, hopes and anxieties. They do not know us. We find ourselves without a common identity. A void made worse by our leaders who no longer have a national vision of unity. Instead, they are obsessed with our differences. Everyday, instead of seizing on the opportunities to foster understanding and the spirit of nation-building, our leaders remind us of the things that set us apart, and divide us. 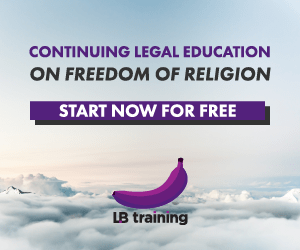 Race and religion – once the colours we proudly displayed when showing the world the promise of diversity and multiculturalism – are now tools of a divisive and destructive brand of politics that plague us daily like a sickness. At 47, we are a tired nation, somewhat beaten into disillusionment and filled with the bitter taste of ennui that comes from years of arbitrary arrests and deprivation of basic liberties. Some of us feel lost and discouraged, and some have given up. Believing Again. Once Upon A Time in 1963. But a lot more of us want to fight on – to speak up and to speak out for the principles and ideals that form the true foundation of our nation. We still want to believe in and hold on to the promise of 16 September 1963. And these voices of hope are the ones that make up most of the conversation today, filling schools, offices and homes all over the country as they inspire and rally more and more Malaysians to come to the fore and do their part in returning our country to its True North. The road to nationhood has not been an easy journey. Surprises and disappointments, tension and crisis, have marred the way. The peoples of Malaysia, however, have endured all trials and tribulations with confidence and patience, calmness and forbearance, with faith in our final goal –Malaysia. 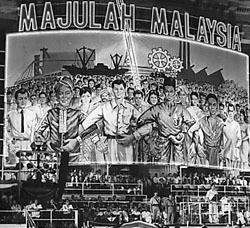 The Federation of Malaya now passes into history. 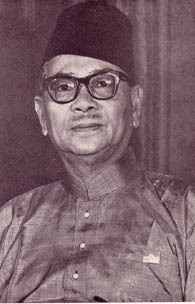 Let us always remember that the Malayan Nation was formed after many difficulties during a long period of national Emergency, yet its multi-racial society emerged, endured and survived as a successful and progressive nation, a true democracy and an example to the world of harmony and tolerance. As it was with Malaya, so it can be with Malaysia. With trust in Almighty God, unity of purpose and faith in ourselves, we can make Malaysia a land of prosperity and peace. In doing so let every Malaysian in all the States of Malaya, Singapore, Sarawak and Sabah ensure that our Malaysia is truly worthy of the aims and hopes we have shared, the trials and stress, we have endured, in working together to achieve our common destiny. Perhaps there is still redemption if our leaders would only just do a little less telling, a little less reminding and instead, just lead with a little more listening. After all, there is a conversation going on. Posted on 16 September 2010. You can follow any responses to this entry through the RSS 2.0. Read more articles posted by Adrian Chew and Adriana Leu. "Perhaps there is still redemption if our leaders would only just do a little less telling, a little less reminding and instead, just lead with a little more listening." Excellent piece. Well thought out, and a grim yet hopeful reminder of what we can avoid. I do feel however that the leaders in question know what they're doing. They're all just doing different things for short term personal gains. Not sure if they will back off because the lure of power and money is so great and addictive. That's why the PM's job isn't easy. Especially the PM of today's Malaysia. He needs to be a strong character. A tough task master who's also a people-person. It's like a sinking corporation filled with factions (and thus ideologies and practice), bad debts and bad faith. You can't hire a softie to "fix the multiple problems". You need someone who can whack the place and everyone into shape so the insecure, problematic staff – the toxins – get flushed out or flush themselves out. "Race and religion – once the colours we proudly displayed when showing the world the promise of diversity and multiculturalism – are now tools of a divisive and destructive brand of politics that plague us daily like a sickness." Very well put Adrian and Adriana. An empowering, thoughtful and realistic piece of writing. Adrian, Adriana – Excellent, from start to finish. Let's keep the conversation going.